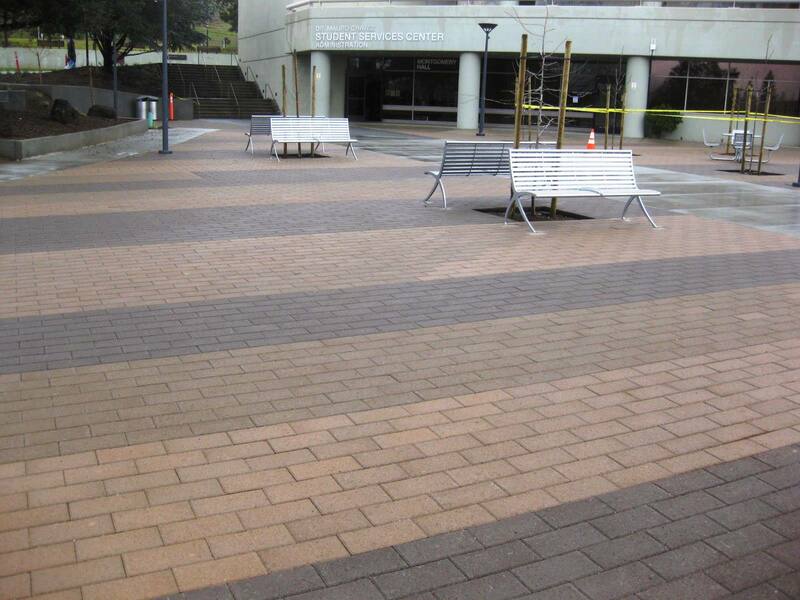 Evergreen Valley College in San Jose CA wanted to update various areas of their campus which included, among others the Central Green as well as the Art Plaza. 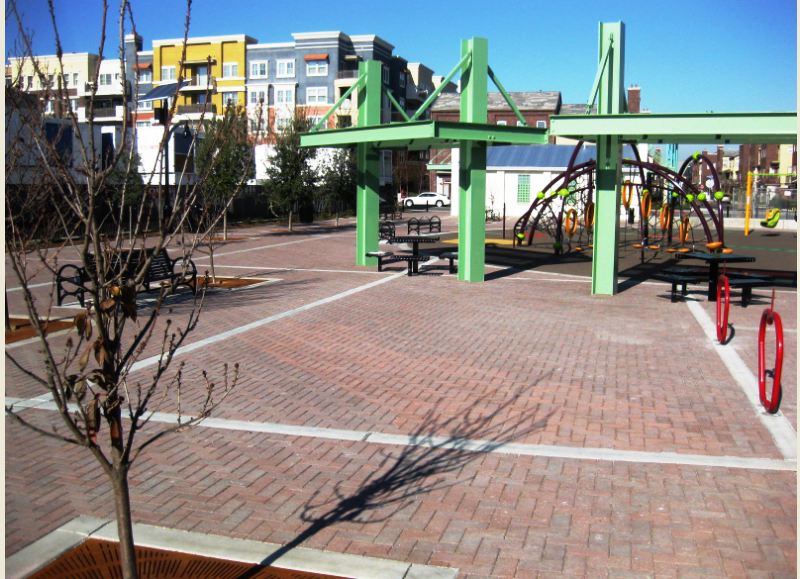 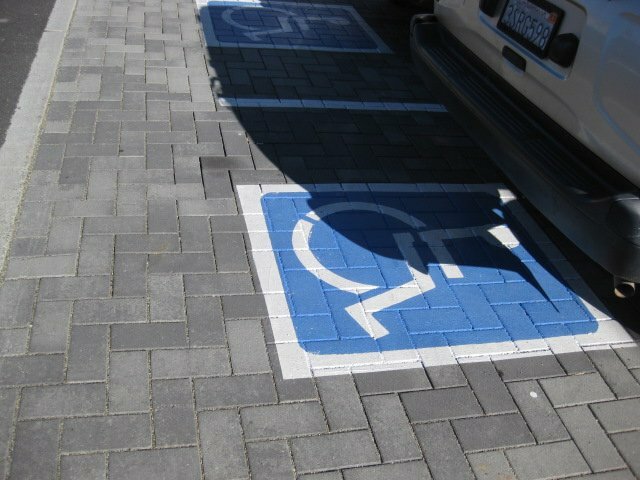 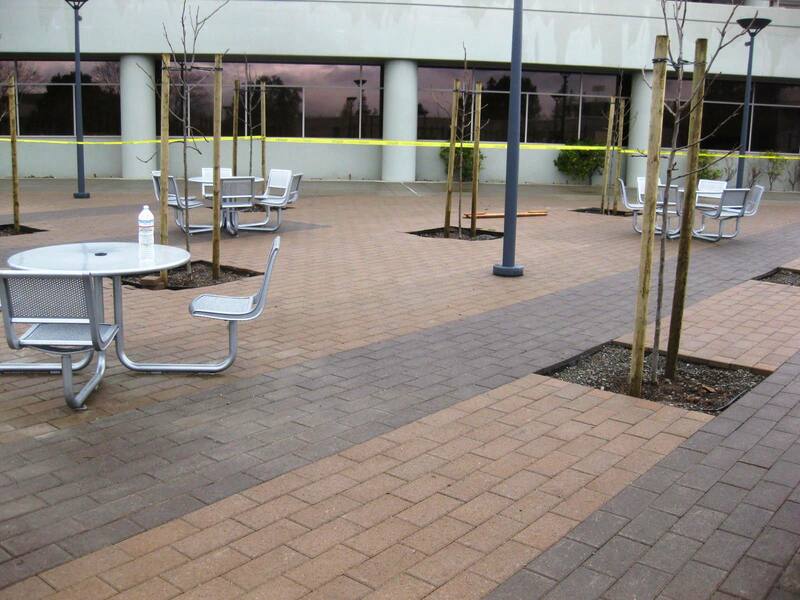 Hydro-Flo Permeable pavers were chosen because of the high environmental and ADA standards. 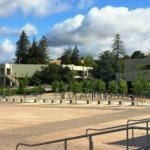 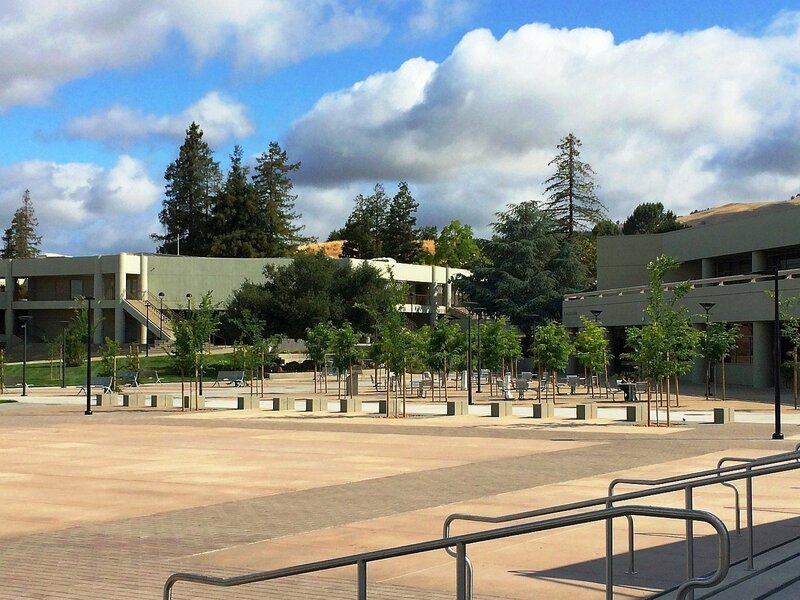 ADA compliance at Evergreen Valley College is important because it has a substantial physically impaired student population. 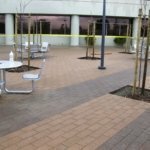 Hydro-Flo Permeable pavers have the following advantages…..
1) There will be no standing water or puddles. 2) There are no large “gaps” between the pavers which might catch walker legs, inhibit wheelchairs or catch high heels. 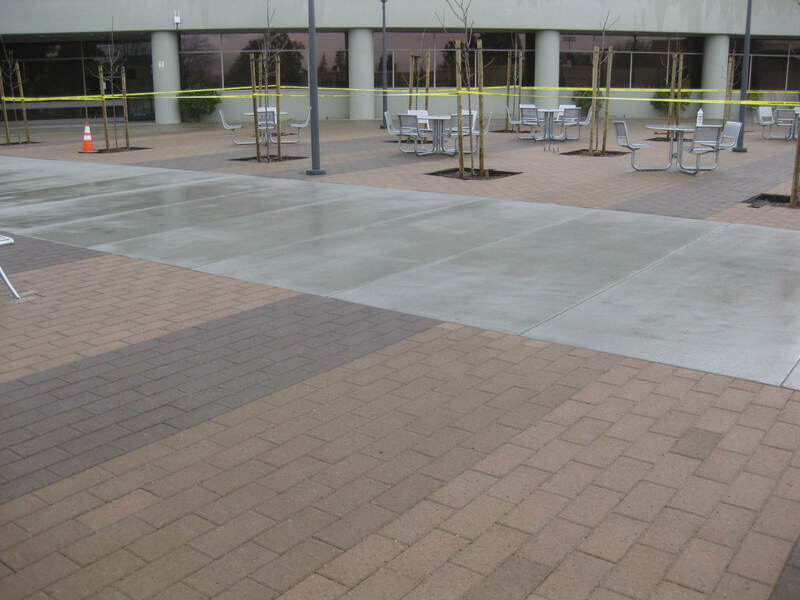 3) Exceeds ADA Title III requirements for slip/skid resistance as well as friction. 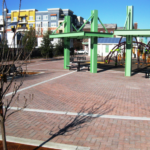 4) Outstanding environmental standards for permeability. 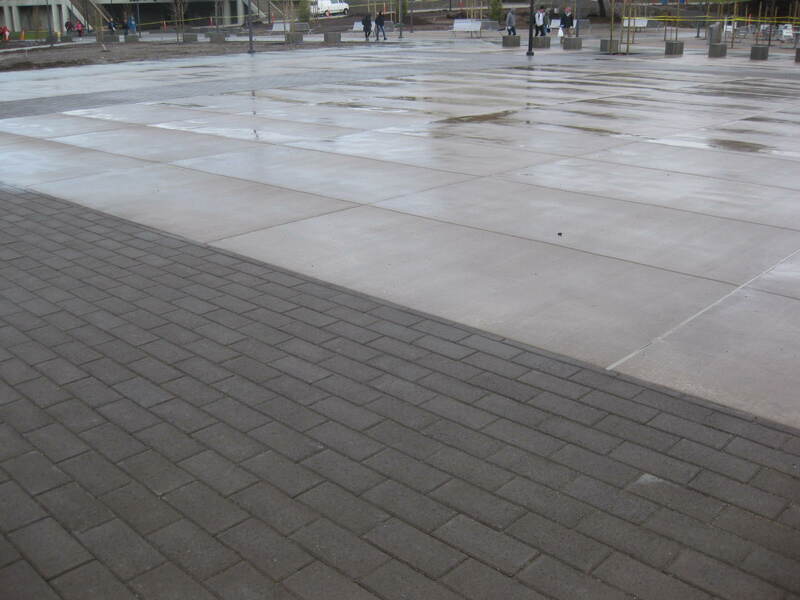 ASTM C-1701/81 at 162 inches per hour. 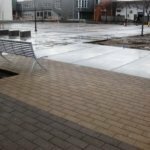 This one project has the potential to retain over 100,000 gallons of water EACH YEAR on-site, replenishing local aquifers while not polluting our rivers, streams, and oceans. 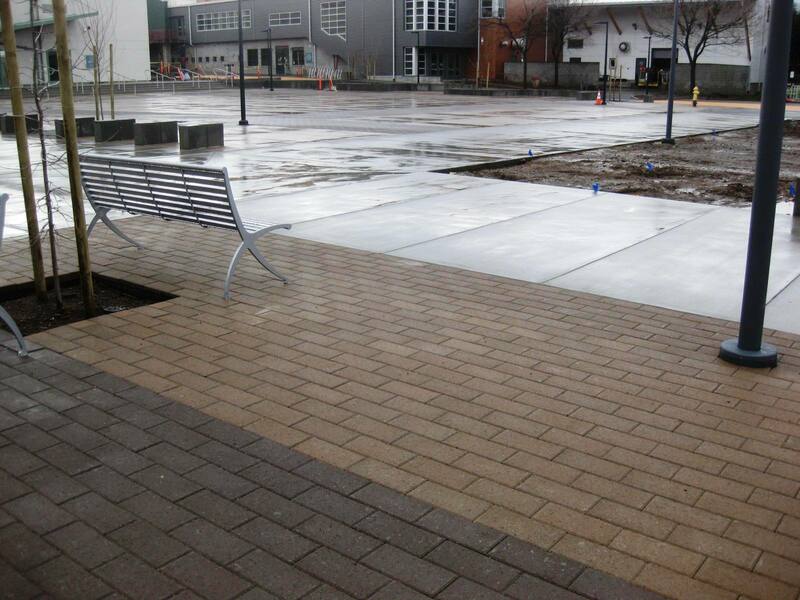 All of this while providing a strong, attractive and safe surface for vehicles and pedestrians. 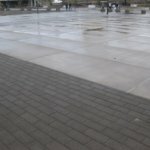 If we can answer any questions please let us know. 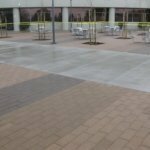 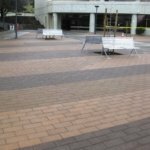 Why specify using Hydro-Flo Permeable pavers on your next paving project?